Clear your calendars and ready your passport for a trip to Tamriel. 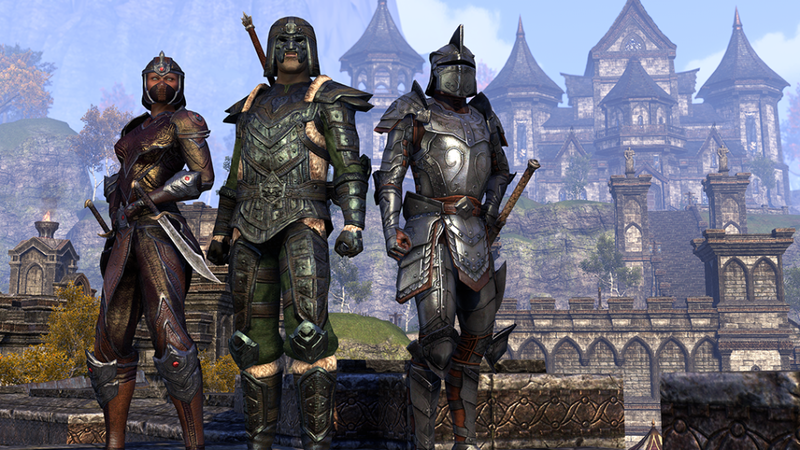 June 9 is right around the corner, marking Xbox One and PlayStation 4 owners’ first opportunity to explore the vast, epic, continent-spanning, positively enormous world of The Elder Scrolls Online: Tamriel Unlimited. 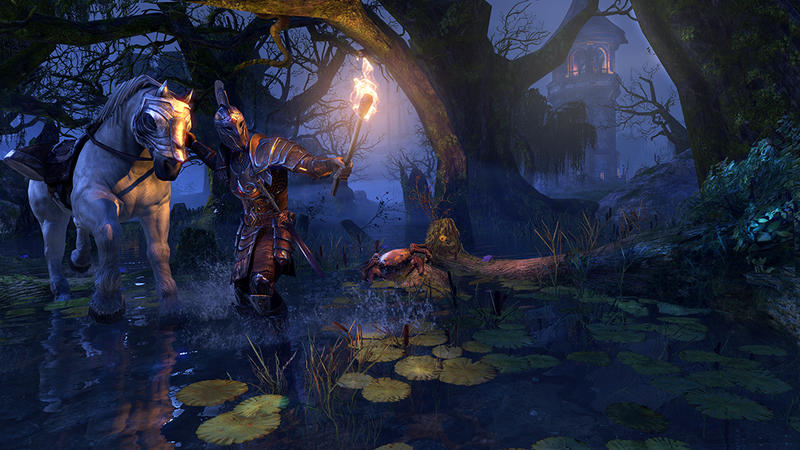 As a massively multiplayer role-playing game, ESOTU is something of a rare beast on consoles. 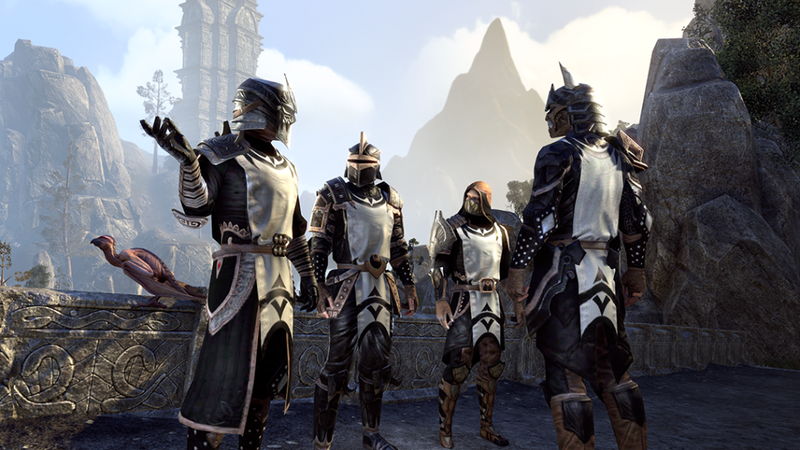 So for you newcomers and MMO-curious, here are seven things you need to know about the console version of The Elder Scrolls Online: Tamriel Unlimited. The Elder Scrolls Online: Tamriel Unlimited is a full-fledged virtual world, loaded with stuff to do, places to see, people to meet, and nasty beasties to slay with gleeful abandon. You can guide a character (or several!) of your own design through an epic, world-shaking story…or hone your provisioning skill to make a really great stew. You can delve into treacherous Ayleid ruins in search of prime gear…or build up your woodworking, blacksmithing, or clothier skills in order to craft your own. 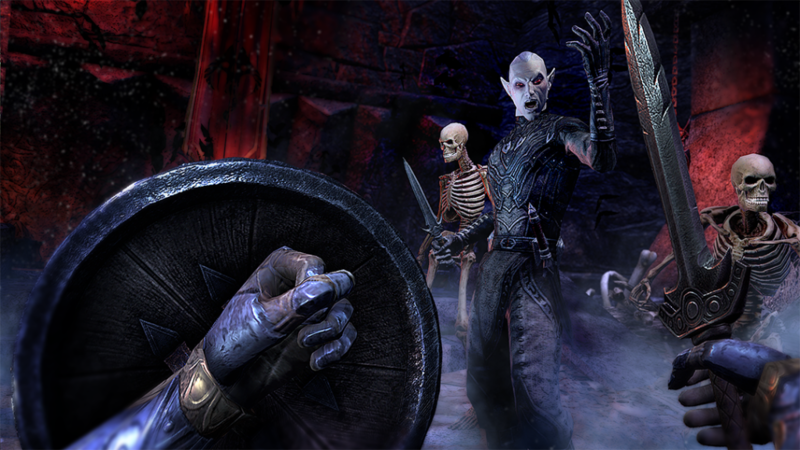 You can go head-to-head with armies of other players…or group up with friends to clear out a nearby dungeon. In other words, ESOTU takes the spirit of the previous Elder Scrolls games and expands it. A lot. Not only can you interact with thousands of other players, you can explore all nine massive provinces in Tamriel. Doing so, however, will take a lot of time. How much? Well, since the game launched on PC and Mac, players have logged more than 173 million hours of playtime. That’s almost twenty thousand years. There’s a lot to do, is what we’re saying. ESOTU is, after all, a massively multiplayer online RPG. That means that when you start playing, you’re not just entering your own world; you’re entering an experience shared by thousands of others. And, of course, if your interest in other players is more, ah, adversarial, you can pop over to Cyrodiil for some player-vs.-player combat. The PvP system offers a variety of different competitive options, from running solo missions on behalf of your own Alliance to grouping up to lay siege to enemy keeps. In terms of its story, ESOTU is the earliest of all the Elder Scrolls games, taking place about 800 years before the events of Morrowind and Oblivion – which means right around 1000 years before Skyrim. Without spoiling too much, we can tell you that the story involves an attempt by the Daedric Prince Molag Bal to merge the whole Elder Scrolls universe with his own plane of Oblivion. Which might not be quite so bad if it weren’t for the fact that the whole of Tamriel is basically at war, divided up into three Alliances vying for control of the Ruby Throne in Imperial City. And each of those Alliances has its own set of main quests, side-quests, faction quests, and so on. Oh yeah, did we mention that? You can become Emperor yourself. If you’re very, very good. 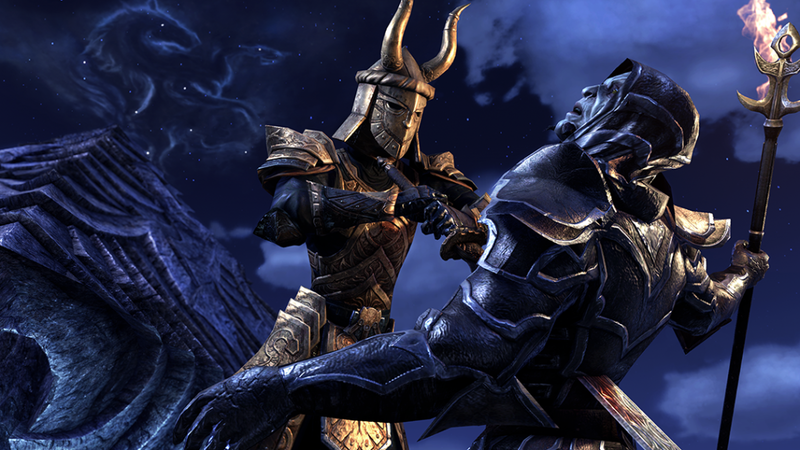 Growth is a part of any online game, and ESO is no different. The game first hit PCs in April 2014, which means it’s had more than a year to flourish. It’s added two entirely new gameplay zones: Craglorn and Dragonstar Arena. It’s gained a variety of new gameplay features, like a justice system to punish criminals and a whole new skill line to go along with it. And it’s layered in a ton of new upgrades to the visuals, the interface and more. This point bears repeating: The UI and controller interface for the console version of ESOTU was designed from the ground up for consoles. That means that the team didn’t have to awkwardly pare down a keyboard-and-mouse control scheme to fit a controller; they built a whole new system. While Morrowind, Oblivion and Skyrim were great examples of console interfaces in Elder Scrolls games, ESO presented its own challenges. The always-active nature of MMOs, for example, necessitated giving players the ability to trigger abilities instantly, which led to an intuitive system of slotted abilities – which translated easily into controller play. And of course, no MMO would be complete without the ability to express emotion (often via interpretive dance), so ESOTU gained another radial menu with customizable /emote slots. Which means you can shake your booty at the touch of a button. 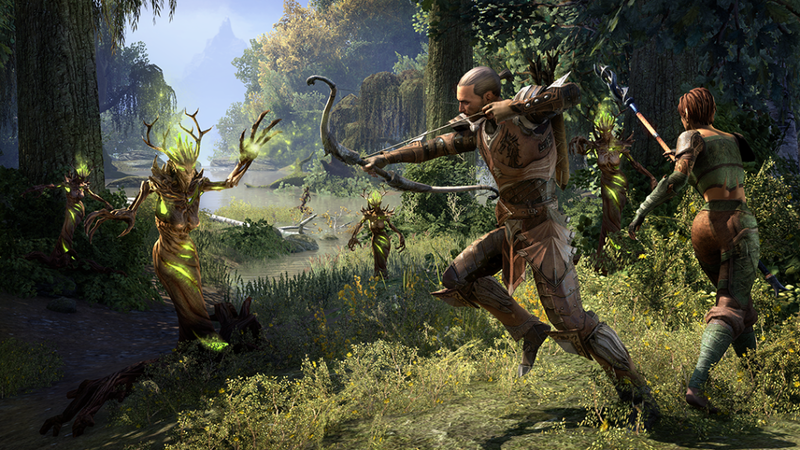 When ESO first launched on PC and Mac, it used a subscription model similar to how MMOs have been doing things since – well, since there was such a thing as an MMO. But with Tamriel Unlimited, players no longer have to pay month-to-month for the privilege of exploring this vast continent. Once you buy the game, it’s yours to play, as long as your Xbox Live or PlayStation Plus subscription is active. That said, ESO does offer an optional membership. It’s called ESO Plus, and it’s a great deal for players looking to get the most out of their time in Tamriel. For as low as $12.99/€10.99/£6.99 a month (depending on the length of your membership), you get a 10% bonus to pretty much all of your character progression: XP, gold, crafting research, and crafting inspiration. Plus you get 1500 Crowns per month of subscription (paid in advance) that you can spend in the Crown Store – that’s enough for 150 level-scaling health potions. Finally, you get access to all DLC game packs for the length of your membership at no extra charge. All races playable in any alliance.>Maybe you fancy being an Orc but want to fight alongside the Ebonheart Pact. Or perhaps you want your Nord to join up with the Aldmeri Dominion. In ESOTU, each faction is composed of three unique races. With the Explorer’s pack, you can pick any of the nine total races and align with any of the three factions, giving you even greater freedom to play the game however you like! Treasure maps. Everyone likes loot. Get a leg up with a collection of maps that’ll lead you to hidden chests stuffed with treasure.